Neck pain relief usually comes after a brief period of rest and light neck pain treatment. How to get rid of neck pain is determined by the cause of your discomfort and your response to recommendations at your neck pain treatment center. How to relieve neck pain when you have chronic neck pain may require more advanced techniques, most of which are non-invasive. How to treat neck pain doesn’t have to be a pain in the neck. Come see our pain clinic in NYC to get your neck pain evaluation and treatment. Meet our pain doctor Dr. Melepura to get the pain relief you need in the safe, reassuring hands of the best pain management specialist NYC. Your neck is comprised of the bones of your upper spine — also called the cervical spine — as well as muscles, tendons, ligaments and other soft tissue. The neck is the first stop on the long train of nerve pathways that eventually end in every area of your body. Within your spine, the spinal cord is the nerve center of your body, connecting your brain to every spot from the top of your head to the tips of your toes. 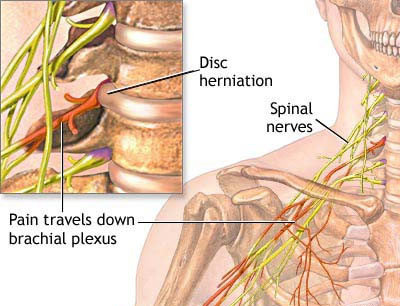 It’s through those first spinal joints in your neck that nerves reach out to other parts of your body. Neck pain can be very painful. Visit our neck pain doctor in NYC, a pain treatment specialist, for best in class treatment options. Emergency appointments are available at the Midtown Manhattan doctor’s office. Your neck is designed for flexibility, strength and stability. Any number of conditions can cause neck pain, and neck pain relief is in order when it strikes. Everything from arthritis to a severe blow to your neck can cause pain. In Midtown Manhattan, your sports and pain management medical team makes the diagnosis so that you can start neck pain treatment as soon as possible. While the source of a pain in the neck is often obvious, your NYC neck pain doctor sometimes has to play detective to find the culprit. An irritation high up in your cervical spine can lead to discomfort anywhere from your head, shoulders, arms or wrists down to your hips, legs or feet. Chronic neck pain may result from poor ergonomics, bad sleeping patterns, spinal cord deformities or tumors. Compressed nerves, also referred to as pinched nerves, usually develop over time. But a trauma caused by a car accident or sports injury can trigger a pre-existing neck dysfunction or create new problems. Figuring out how to relieve neck pain requires specific diagnostics, a thorough history and experience you can only find at your New York City neck pain treatment center. Once your Manhattan neck pain management doctors hears your history and symptoms, he performs a physical examination to determine how to treat neck pain in your individual circumstance. A trained neck specialist Dr. Melepura will observe how you move, sit and hold your head. He feels along your cervical spine for muscle tightness that could indicate spasms, or damage to the soft tissue. He does a few range-of-motion tests for further insight into how to get rid of neck pain for you. If you don’t find quick relief at home, seek medical care, consult a physician or neck specialist like Dr. Melepura in NYC to relieve your neck pain and to avoid further complications. Your neck pain doctor provides you with all the information you need to make an informed decision about how to treat neck pain. Returning you to your normal activities, sports and fitness routines, pain-free, always is the goal at your Midtown neck pain treatment center. Do you have any questions about the neck pain treatment we offer in NYC? 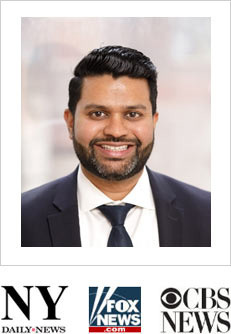 Would you like to schedule an appointment with the best rated neck pain specialist, doctor Febin Melepura MD of pain management clinic in New York ? Please contact our office for consultation with the neck injury specialist in Midtown Manhattan.